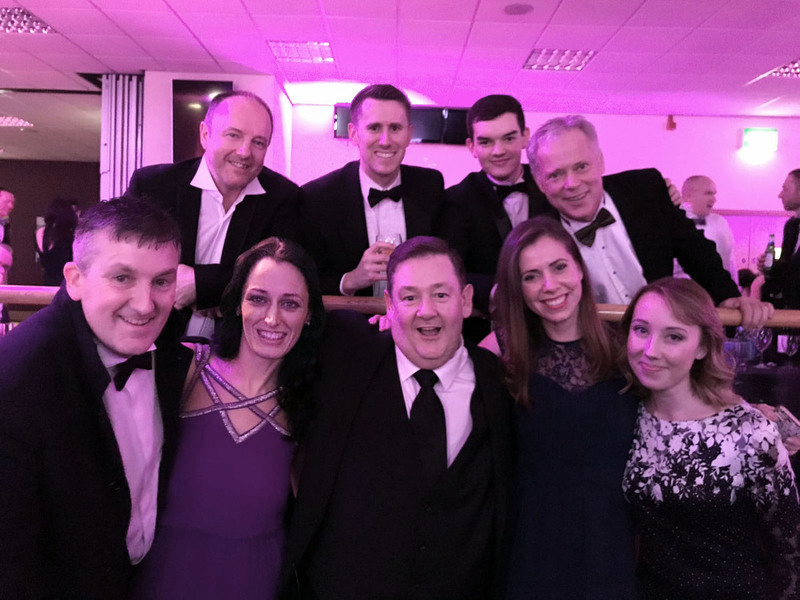 On Friday 19th January Company Cards joined many companies from St Helens to celebrate another great year for local businesses at the chamber’s annual dinner dance. As a local business within St Helens, Company Cards have received support from the chamber and wished to show their gratitude on Friday by being an official sponsor for their event. In 2017 Company Cards obtained an apprentice from the Chamber, who has now become a valued member of our team and handles customer accounts for our Print Finishing division. Therefore, when the opportunity arose to support the chamber at their annual Gala Dinner, they were happy to oblige. The evening started with a welcome drink in the reception room at Haydock Park Racecourse, where everyone got the opportunity to catch up with old friends and get to know one another better. We were then guided to the Park Suite where we had a delicious 3 course meal and entertainment courtesy of Johnny Vegas. The evening drew a large crowd and during Chairman, Graham Worsley’s speech, it was evident that St Helen’s had had a successful 2017 in terms of business. One of the key points which Company Cards were interested to hear, having worked with an apprentice supplied via the chamber, was the effort that they are putting in to drive their apprenticeship scheme forward. As tuition fees are higher than ever, this has bright prospects for many young people within Merseyside. After the evening meal we were entertained by Johnny Vegas as he discussed St Helens and what it had been like to grow up in this area. This was followed by dancing to a live band, which was a nice way to draw the evening to a close. With everyone dressed in their finery, great company, good food and the prospect of another successful year for local businesses, it really made us feel great to part of St Helens.